The event will take place at The Castaway, in NW Portland. There are many hotels located nearby, with the majority being in SW Portland, just a quick streetcar ride away. For any questions, see the contact page. 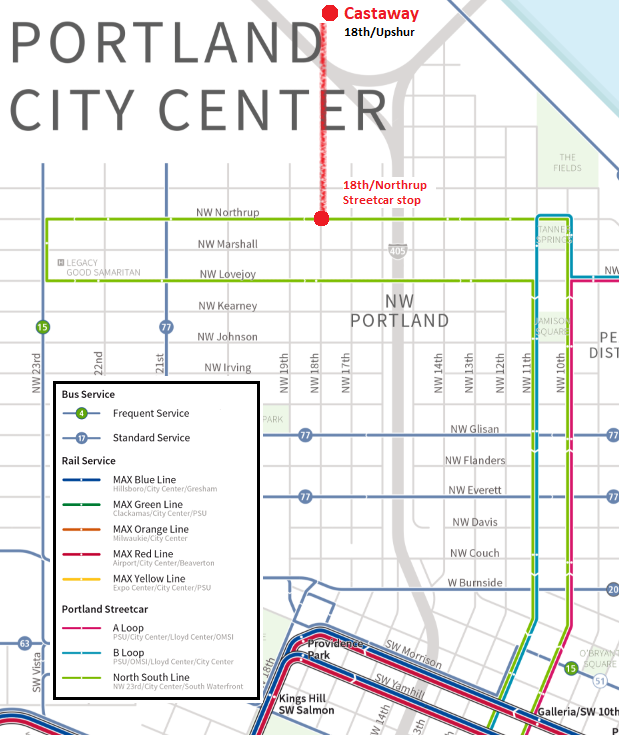 TriMet provides bus, light rail and commuter rail transit services in the Portland, Oregon, metro area.